Here at Drinking Water Fountains, we care about making sure our clients stay hydrated. 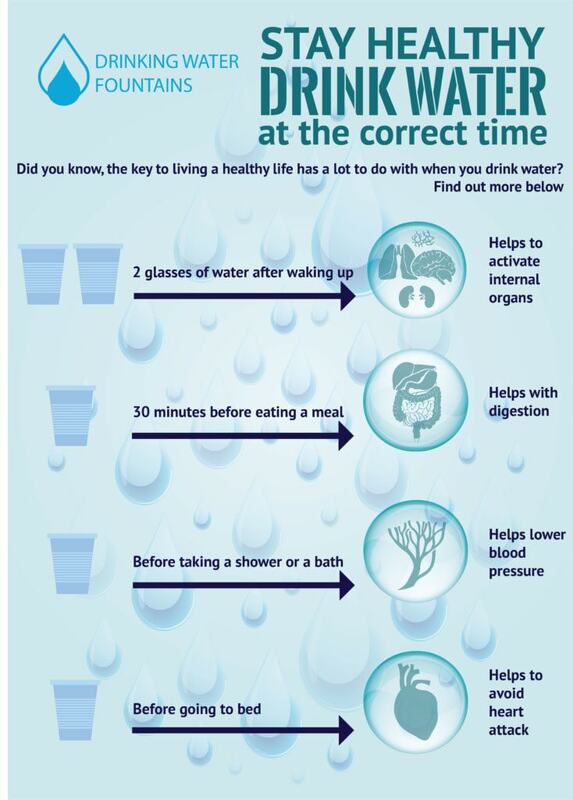 That’s why we’ve created this easy to follow guide that advises you when the best times of the day to drink water are. Drinking Water Fountains are one of the UK’s leading supplier of drinking fountains. We are sure to be able to provide you with a hydration solution which fits into your environment. We stock both indoor and outdoor drinking water fountains in a range of shapes and styles. For more information about Drinking Water Fountains, why not give one of our friendly customer care team a call on 0845 500 4455 or say hello to us via our Live Chat.